Look through the Evening Standard’s property pages and you’ll find that a riverside apartment in Pimlico does not come cheap. There are, for example, flats for sale at a development called Grosvenor Waterfront for upwards of £1m. And with the ways things are going, the new buildings springing up in the surrounding area will be even more expensive. As the recent rush to snap up new properties across the water at the new development at Battersea Power Station (where £600m of property was sold in four days) showed everyone wants a piece of the Thames in West London these days. But Pimlico’s waterfront hasn’t always been a desirable place to live. Back in the early 1800s this was marshy area, with little more a brewery (what became Watney’s Stag Brewery), a distillery and a tea garden. 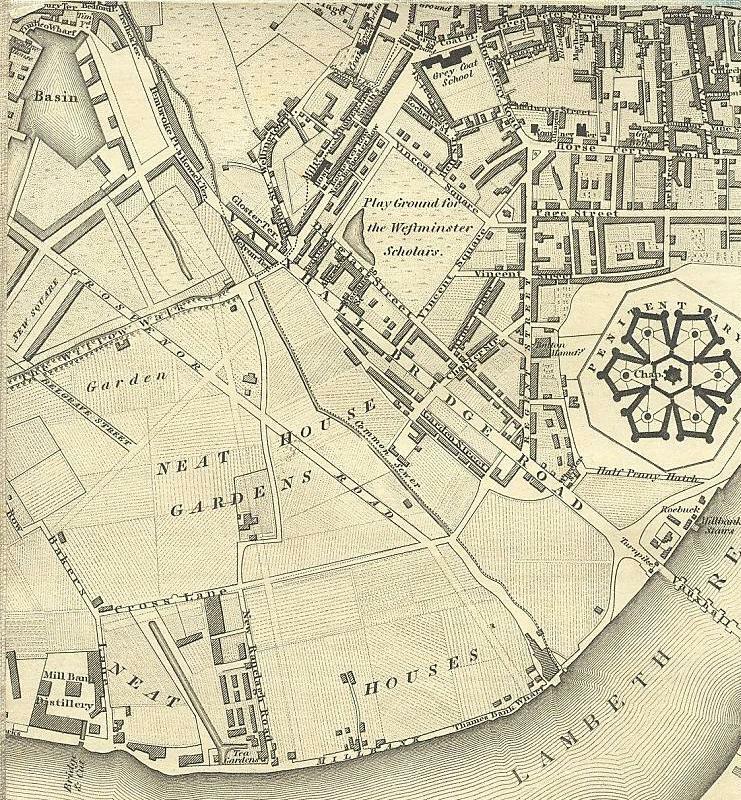 The Thames would have frequently flooded and, before the new sewage system was installed as part of the Embankment project, would have smelled considerably. And, as I wrote about in my last blog post, it bordered onto England’s largest prison – Millbank. Further inland, to north and away from the stench of the Thames, the Grosvenor family commissioned Thomas Cubitt to develop Belgravia from the 1820s. These grand terraces of white stucco houses, exemplified by Belgrave Square and Eaton Square, emerged as one of London’s most fashionable residential districts – an accolade that remains to this day. Given Belgravia’s popularity, the Grosvenor family again asked Cubitt to develop Pimlico as an extension just a few years later. The marshy land was reclaimed using soil excavated during the construction of St. Katherine’s Dock. The largest and most opulent houses were built along St George’s Drive and Belgrave Road, and Eccleston, Warwick and St George’s Squares. Quasi-fashionable neighbourhoods abound … avoid the more northerly parts of the populous borough of Marylebone, the new streets and squares to the northward of Hyde Park, and the territories, of whatever descriptions, in the vicinity of Pimlico. The last-mentioned neighbourhood, especially, is proverbially fatal to fashionable expectations; yet many simple-minded persons from the country, opine that, in the neighbourhood of a royal palace, they must be right. … even royal preference cannot establish the aristocracy of a vicinity famous only for its brick pits and its ale. Equivocal neighbourhoods are those where private residences, shops and manufactories are intermingled in heterogenous confusion. Lambeth, the Borough, Vauxhall, and the regions generally included in the “over the water” category belong to this unenviable description. The arrival of the railways and the building of stations at Victoria did nothing to improve much of Pimlico’s image. Charles Booth, the great social explorer, noted areas of extreme poverty, as recorded by the dark blue shading on his 1899 map. As a result many social housing projects sprung up in the area, the most famous launched by George Peabody. But being so close to Westminster, it was only inevitable that revival would come to Pimlico. The popularity of waterfront living (only possible since the Embankment was created in the 1860s as it stopped the flooding) has also been a key boost for the area’s southern parts. Yet even so, Belgravia and Pimlico are still some still apart and the latter could still be deemed the poorer cousin. Belgrave Road, not far from Victoria station and with its cheapish looking hotels (there is an easyhotel, the ultimate in budget accommodation) stands in stark contrasts to areas like Lowndes Square where Roman Abramovich, the Russian oligarch, and the 50th richest person in the world (according to the 2012 Forbes list) with an estimated fortune of £8.4 billion, submitted plans several years ago to create the most expensive private residence in England. The eight-bedroom building, spread across two stucco-fronted properties and complete with various underground rooms, could to be worth up to £150million when completed. Chester Square, one of three garden squares built by the Grosvenor family (the others being Belgrave Square and Eaton Square) when they developed Belgravia in the 1800s has on several times topped the list of the most expensive streets in the capital (Mouseprice.com reported, for example, an average property price of £6.6m in 2010). Classic townhouse with courtyard garden and roof terrace. Four bedrooms, all en suite, plus a wine cellar. Grade I-listed house close to Regent’s Park. It has four bedrooms, four bathrooms and a private garden but has only 47 years left on its lease. Six-bedroom, white stucco house with four bathrooms, two reception rooms, a media room and a family room, plus a roof terrace. 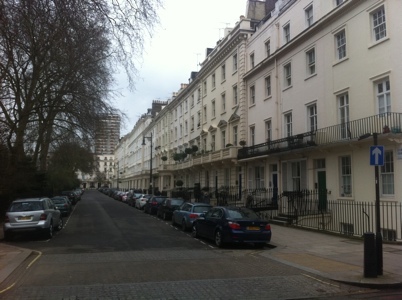 And it’s interesting that the Eccleston Square, for example, which is on the ‘wrong’ side of Buckingham Palace Road describes its location as ‘bordering Belgravia’ rather than in Pimlico. While we can never claim that today’s Belgravia is crime free, the recent tragic stabbing of teenager Hani Abou El Kheir in Lupus Street shows that Pimlico has its problems. Residents on the other by the Churchill Gardens estate, where the 16-year-old lived, believed that he was targeted by a gang because he was from rival Ebury Bridge about a mile away. But while history shows the two can never been on a par, it’s still worth watching this space – as there is much talk of redevelopment around Victoria. And this can only spill over to neighbouring areas like and gentrify the remaining streets. I live in Pimlico. There is a lot of anti-social behaviour and drunks shouting at night, especially in summer. 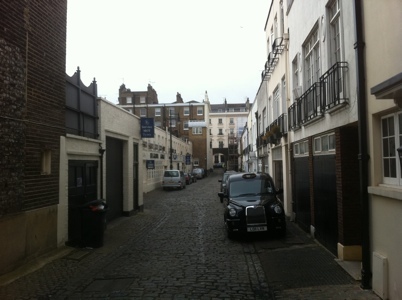 I live in Pimlico too. It has a variety of life that is lacking in the manicured streets of Belgravia and Chelsea, but also feels safe and is very pretty (unlike much of the rest of London). Its central location cannot be faulted, and I don’t understand why it’s not more expensive.